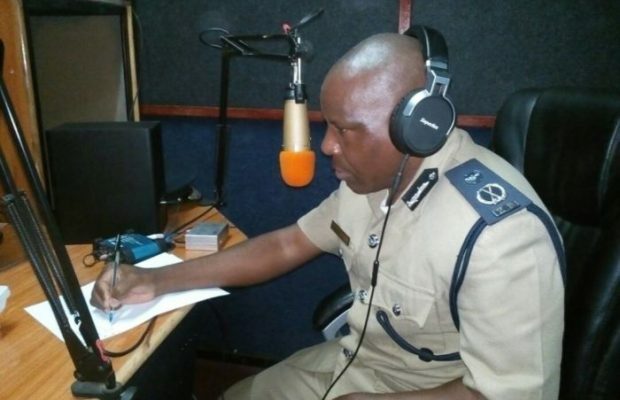 South Province police commissioner Bonny Kapeso has announced what he calls punitive measures against the people of Batoka after they burnt down a police post. An emotional Kapeso says he has ordered all police officers in Batoka to leave and that no Batoka resident will be allowed to report any crime in Choma, as a way of punishing the arsonists. According to a police report, Batoka residents yesterday made a citizen’s arrest on a knife wielding Lusaka man, Ketious Kabwe, suspected to be a ritual killer. The officer-in-charge at Batoka police then took over the suspect and transferred him to Pemba, where he was detained overnight, but residents mobilised under the cover of night to protest against officers whom they accused of trying to cover up a crime. The residents went further to burn down the police post, thereby awakening Kapeso’s sleeping wrath. Appearing on Byta FM’s Chuundu Chaitwa programme today, Kapeso said he was withdrawing his officers from Batoka because the environment was not conducive. “Why burn a police structure which is meant for their services? What do you expect us to do? When I reported this to the Inspector General of Police Mr Kakoma Kanganja, he was so cross, I think he was more annoyed than I was. I failed to understand the rationale behind the people’s decision to burn their own police structure. Now, the police high command, we have decided that immediately, we are pulling out our officers. As I speak now, immediately we are arranging transport to go and pick up our officers because we cannot keep officers in an insecure environment, there is no safety for them,” Kapeso said.